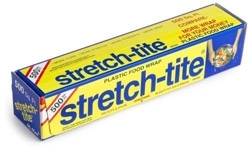 Stretch-tite Premium Plastic Food Wrap, excellent for covering and storing food in the refrigerator or freezer. Polyvinyl Films is the manufacturer of stretch - tite and freeze - tite plastic food and freezer wraps. The line of premium quality plastic wraps is used in both homes and business for a variety of purposes. Premium quality wraps at a great value to our customers is the Polyvinyl Promise. Freeze-tite Plastic Freezer Wrap, fifteen inches wide to cover the whole dish, 50% Thicker, seals tightly to lock out freezer air. 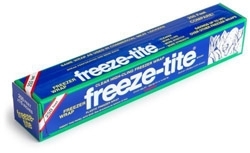 No need for tape or markers as Freeze - Tite is self-sealing, wrapping silver to avoid tarnishing. Natural hardwood block; 2in trim; very strong for heavy debris; good on wet or dry pavement, concrete, driveways. 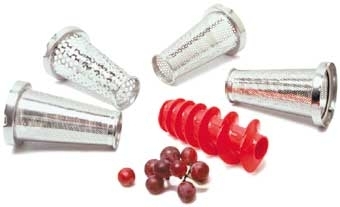 The Back to Basics Food Strainer can be used with a Berry Screen. Available separately. Core, slice, and peel in one easy operation. Move back the coring blade to simply peel or move back the peeling blade to simply core and slice. 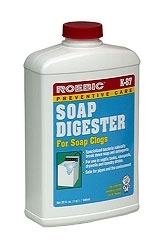 K-87 Soap Digester is formulated for homes with drywells for laundry and/or kitchen waste water. Two treatments per year prevents soap build up in septic tanks, cesspools and drywells. K-87 Soap Digester contains a specialized bacteria that clears soap and build-up from pipes. 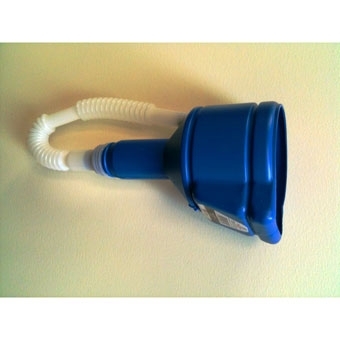 Easy-to-use K-37 keeps your septic tank running smoothly. K-37 works in both your septic tank and drain fields, preventing clogging and unpleasant odors in your septic system. Biodegradable. 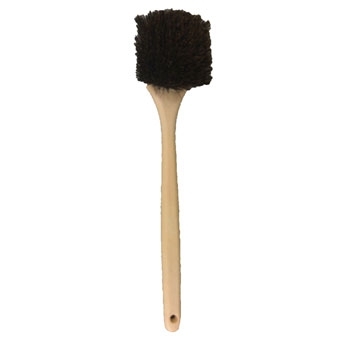 K-77 destroys clogging tree and shrub roots from pipes fast. 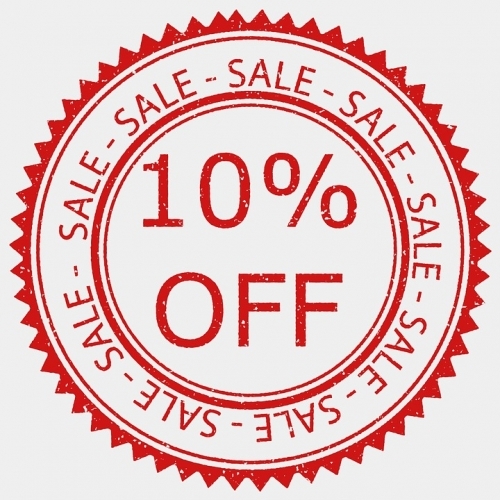 Saves costly digging and power rooter service. Just pour down the toilet and flush. Not available in Connecticut and Bay counties in California. Professional Drain Opener Liquid Drain Opener is three times stronger than our Original Strength Liquid Drain Opener and clears the toughest clogs from any household drain quickly. 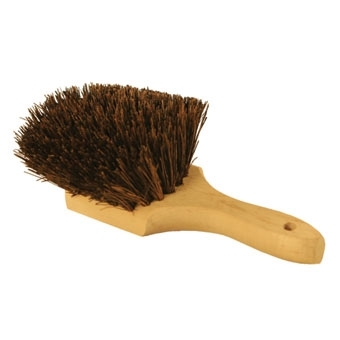 Dissolves grease, hair, lint and food. Safe for use with plastic pipes. K-97 is a concentrated bacterial waste-degrading product designed to clean main sewer pipes of fats, grease, sludge and paper without the use of harsh aggressive and dangerous chemicals. K-97 should be used in every household, whether on a septic system or city sewers. One bottle, twice a year, will keep the main line free of unwanted build-up and prevent back-ups during heavy water use. K-57 is used to correct systems that are overworked and sluggish. Made up of special bacteria, K- 57 provides a concentrated attack on clogged areas relieving overloaded septic tanks, cesspools and drain fields. 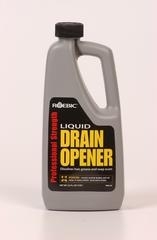 The heavy duty crystal drain opener clears clogs, melts grease and keeps drains clear. 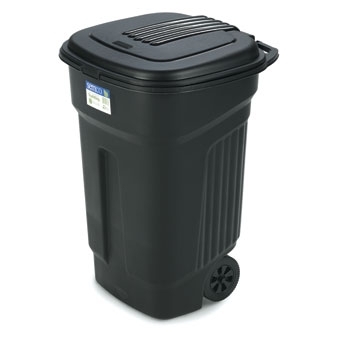 35-gallon injection-molded trash can with wide-grip handle and wheels for easy mobility. Features an attached, hinged, snap-tight lid. These affordable trash containers are constructed with a durable, heavy wall that will not warp, rust, fade, crack or dent. 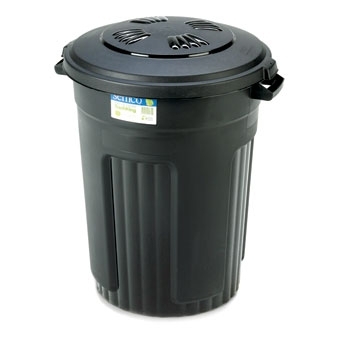 32-gallon round, injection-molded trash can with sturdy, grab-through handles that are easy to grip for lifting. Also features a snap-tight lid. These affordable trash containers are constructed with a durable, heavy wall that will not warp, rust, fade, crack or dent. 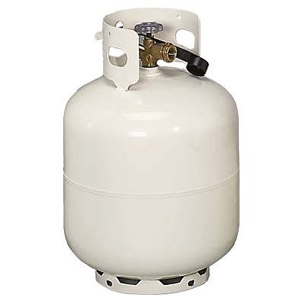 Rugged and Tough 32 Gallon Round Container that is virtually indestructible due to it's Low Density Polyethylene base construction. The container is Crush resistant and returns to its original shape. The Brute will not rust, chip, dent or peel. This container features a reinforced rim, Gusseted Handles, a molded in base handle, a double ribbed base and strong snap-on lids. 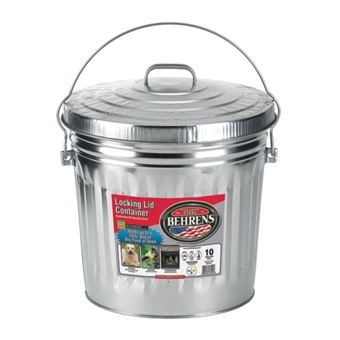 6 gallon galvanized garbage pail, features locking lid. 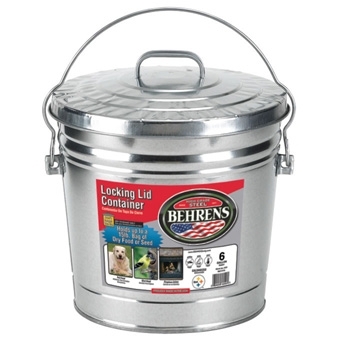 For dry storage only; ideal for pet food and bird seed storage. Rodent proof and odor proof. Made in USA. 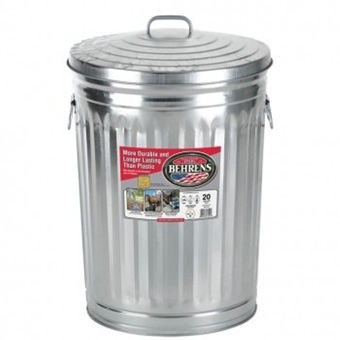 31 gallon galvanized garbage pail, corrugated sides provide extra strength, features side drop handles. Rodent proof and odor proof. Made in USA. 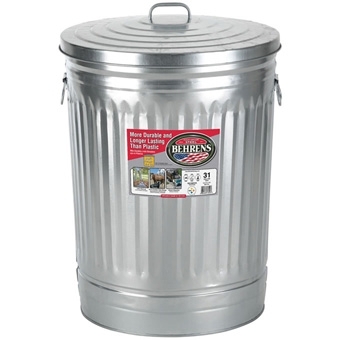 20 gallon galvanized garbage pail, corrugated sides provide extra strength, features side drop handles. Rodent proof and odor proof. Made in USA. 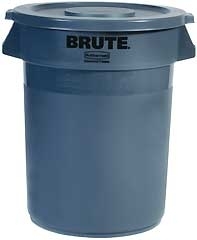 10 gallon galvanized garbage pail, features locking lid. For dry storage only; ideal for pet food and bird seed storage. 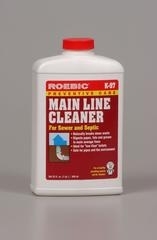 Rodent proof and odor proof. Made in USA. 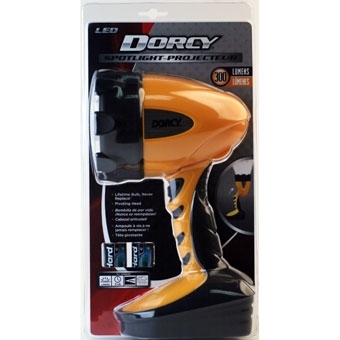 Features 9 super bright 5MM LEDs on each light. With its industrial design, the light is weather resistant and has a tough, durable construction. The flashlight has a fold-away tail cap carabineer hang ring and also comes with a convenient nylon wrist lanyard. 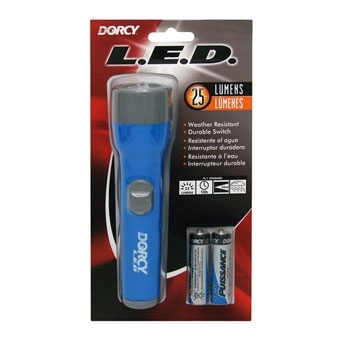 Each flashlight includes 3 AAA cell batteries and runs for 40 hours. The 300 Lumen 4C LED Spotlight features a super bright high powered K2 Luxeon LED Solid State Diode for optimal light output. 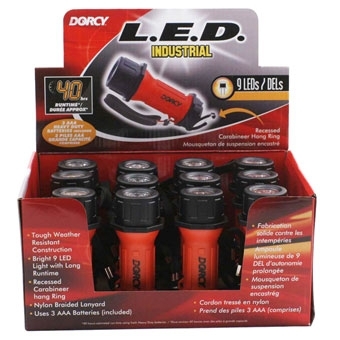 The LED ABS Plastic Economy Flashlight contains a super bright LED producing 25 lumens of light output and projects up to a 50 meter beam distance.